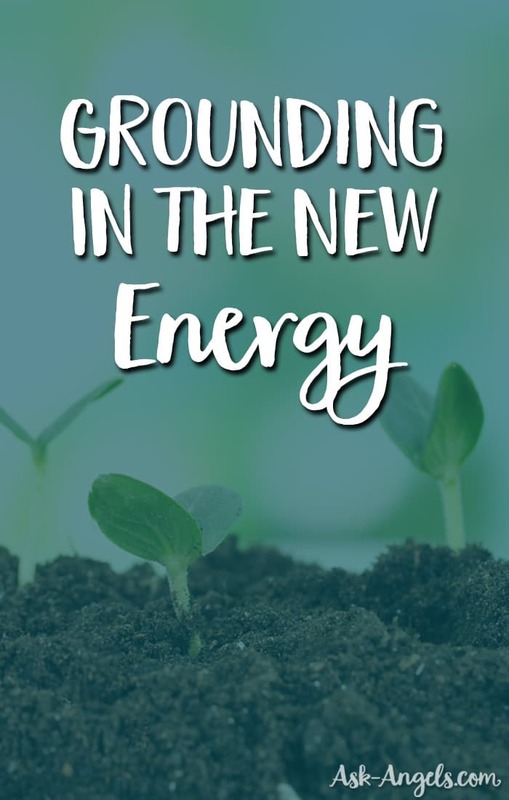 Grounding In The New Energy Is Key! 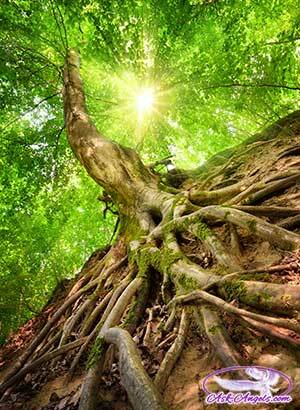 Why Is Grounding Still So Important on An Ascension Path? When walking an ascension path and lifting into a higher vibration, grounding is still incredibly important. But wait… Isn’t ascension about lifting in light, and not grounding to the Earth? Really… It is about both. When you are grounded to the Earth, you are actually able to integrate more of your soul light and authentic truth, and this is the ultimate goal. As counter-intuitive as it might sound, when you stay grounded, you are actually able to lift higher. Plus if you don’t stay grounded as you progress on your ascension path, you’re likely to open yourself up to experiencing increased ascension symptoms like feeling light-headed, having a scattered, overactive mind, and feeling awkward or uncomfortable. And the thing about ascension symptoms that come about from being ungrounded is that meditating, energy healing, and calling in light doesn’t really resolve them. What does resolve them is simple, it’s grounding! Although staying grounded is simple, it is not necessarily easy. Being grounded means being fully present in your body, and connected to the energy of the Earth. For highly sensitive souls, and lightworkers, being fully present in physical form often means experiencing and having to deal with pain, negativity, and the sometimes more challenging aspects of life. A natural (although not helpful) response that many people have is to energetically leave the physical body in times of discomfort. I don’t mean they totally leave their body behind like a zombie and enter fully into the realms of spirit, it’s more like when you’re driving in your car, and you arrive home and really don’t remember how you got there. You were ungrounded! Or when you’re sitting at your desk, and instead of being fully present you drift into illusion, memories, or projections of the future. Energetically, your energy reaches out beyond the present moment, and beyond your body. Some people stay in this sort of state most all the time, and as a result are spacey, scattered, disconnected and frustrated. Also, in the world we live in today there are tons of distractions, technologies, and constructs that are able to quickly shift us from being grounded, present and connected into frazzled and distant. Plus if you live in a big city, have a long commute, or work all day in an office building on a computer, right there is a disconnect from the natural world that as a result can leave you ungrounded, hazy, and disconnected. Remember, you’re on Earth for a reason, and a huge part of that reason is to simply live and experience your life as a physical being. Yes, you’re a spiritual being too, but if you only focus on the spiritual, digital, and mental realms you’re going to miss out on a huge part of your purpose and reason for being here in the physical. Ascension is not about neglecting physical reality for the spiritual realms, it’s about balance, and integrating spirituality into your physical life. As you're probably aware at this point, the earth, humanity, and all of existence are ascending into a higher vibration of experience. There’s more light, more energy of the higher realms, and more vibration. We’re literally being elevated and lifted. This is something that together, we’re consciously calling forth. In this new earth energy in the fifth dimension, how do you stay grounded and centered? Here is a powerful practice that I invite you to join me in doing right here and now. Begin by shifting your awareness within – on the area of your heart. Breathe, relax and let go. Imagine the light of your heart beginning to glow brighter, more vibrantly. With each and every in breath, let the light expand around you; your light growing more vibrant. From above, envision light streaming in. Envision light from the higher realms and the divine. See light from the crystalline grid flowing in through your crown chakra, down along your being, and opening your ascension column (the crystalline column of light that flows around you). This light continues down all the way to the crystalline core of Gaia. Feel your oneness with the light at the core of the earth and now let the light flow back. Simultaneously, light flows in from above and up from below and flows all around you. Visualize a torus light body flowing around you. Let your heart light expand and let all of your power and energy enter into this present moment. Focus all of your awareness on your heart. See this heart light as golden. It expands around you. Breathe and be fully present here and now. Feel your connection to the earth below, your connection to the light above, to your heart within, and to the light expanding all around you. Shine vibrantly, shine radiantly. You are grounded to the crystalline core of Gaia below, anchored to the infinite light of the divine above, and centered in your heart; the bridge between heaven and earth. Turn up the volume of your light, bringing in the light from above, bringing in the light from below and letting it expand all around you. Shine brightly, grounded in the new energy. Your energy is not spread out across the past or the future, but is totally present here and now. You are grounded, centered, aware, open, shining, and so it is. Why should you stay grounded? In addition to more easily integrating your spiritual light into the physical and progressing on your ascension path, staying grounded will enrich and deepen your life experience. You’ll be able to be more present with others, make connections more easily, and more effortlessly tune into the guidance of your angels, spirit guides, and higher self. When you’re grounded and present, life is more vivid, food tastes better, water is more fulfilling, and colors seem brighter. Your mind is calmed, your energy balanced, and your emotions calmed. When you’re present and grounded you’re more aligned with your authentic truth, and able to more easily remain joyful, in a vibration of love, energetically clear and progressing on your soul path towards accomplishing all the many facets of your unique life purpose. So how exactly do you stay grounded? Staying grounded is about being fully present in the physical, in your body, in this very moment that is now. For starters, set the intention to remain present, grounded and aware. Do a grounding meditation when you wake up in the morning before you go to bed, and any time you find you’re getting lost in thought throughout your day. Bring your awareness back into your physical body. Focus on your feet, and imagine golden roots of light flowing down anchorig you to the earth and grounding you into the present, feel your connection to the Earth. Learn more tips to stay grounded here. Or for a free grounding meditation with Archangel Michael click here! Hi Melanie, This was a wonderfull experience and bless you with positive power and love! Thank you Melanie this was truly awesome everything you send me works exactly the way you say it suppose too .All of my life I always won’t ed to be either read the future or be a premuem always .I still wish I could.You are good of what you do it must have been your dream to do this all your life Melanie it’s indeed a pleasure to have read your colum . I got goose bumps and shivered as if for the first time I was feeling positive energy! I even felt tickled throughout my body! Luv this. Such a great synopsis of grounding! Thank you for framing this in a way that just makes so much sense. You are wonderful and I really appreciate your work. This is necessary, and I have grounding as part of my daily routine. I sometimes add a protective layer of light below 1 foot below my feet in the ground, because I worry about messing my vibration up with the seismic activity here in NV. For some reason, this summer my ascension started flooding in really quickly, rather overwhelmingly so fast that I have found myself feeling very light-headed to the point of dizzy. The dizziness has been so over-powering that I end up feeling very nauseated. My ears have also starting ringing very loudly and both of my hands tingle all the time. Very uncomfortible.! !